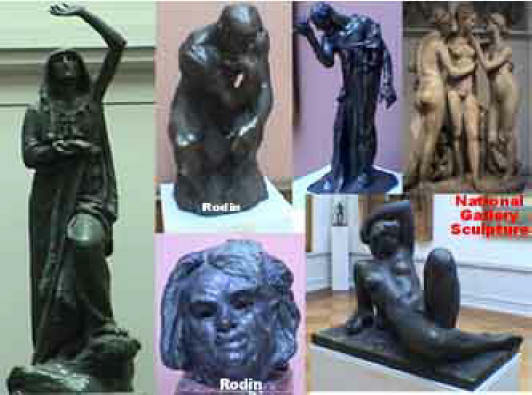 There were not only famous Norwegian works but also excellent works by most of the world’s most famous artists. 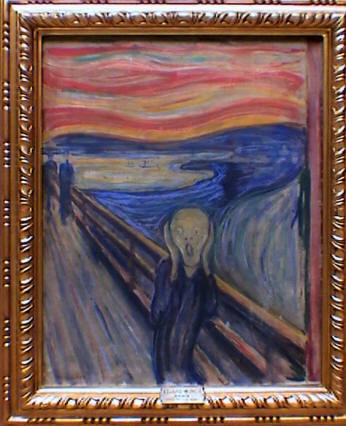 The most famous piece in the gallery (ala Mona Lisa in the Louvre) is “The Scream” by Edvard Munch* (1863-1944) (right.) You’ve seen it many times before. Here is the real thing. 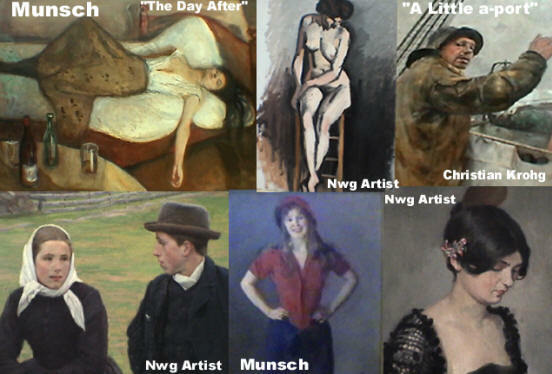 I was very impressed with the works of the native artists who are exceptionally good in my opinion. After a half hour of doing my surreptitious videoing, I hear one of the guards tell a lady to photo or video all she wants. 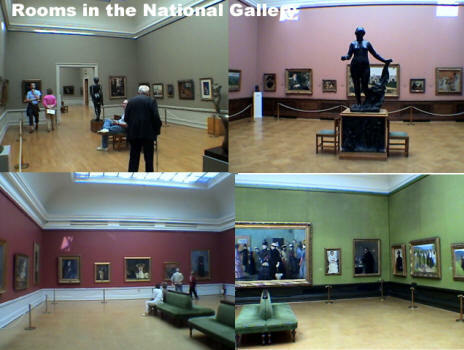 It seems that Norwegians are not as uptight as the Italians and Spanish when it comes to gallery photography. 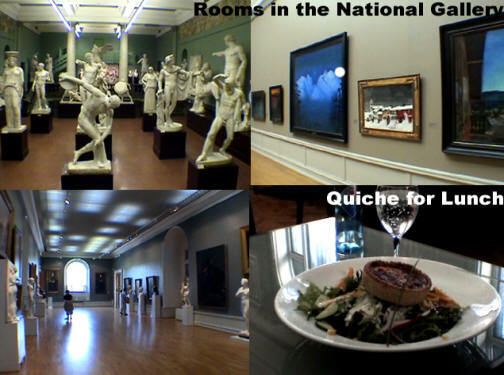 On the left is my photo and on the right is one from Wikipedia. After 2.5 hours there, Marcia had lunch in their café (above) and then we walked back to the Aker Brygge port area and caught the 3:30 Båtservice boat (below) across the fjord to the island called Bygdøy. 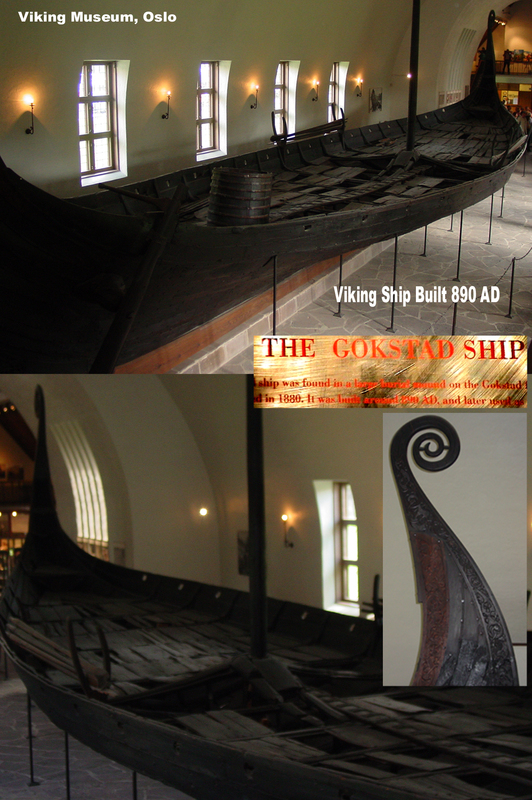 We got off the boat and walked about a mile to the Viking museum (Vikingskipshuset) where we were able to see the dredged up remains of real Viking ships built in the years 800-900 AD. 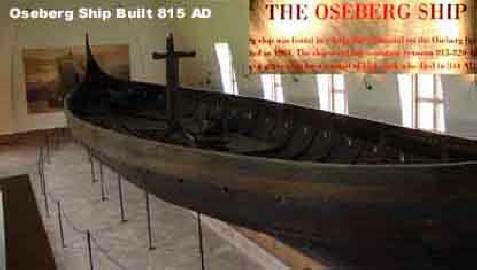 They found these ships during building excavations because the ships were buried as funeral barges for members of royal families. 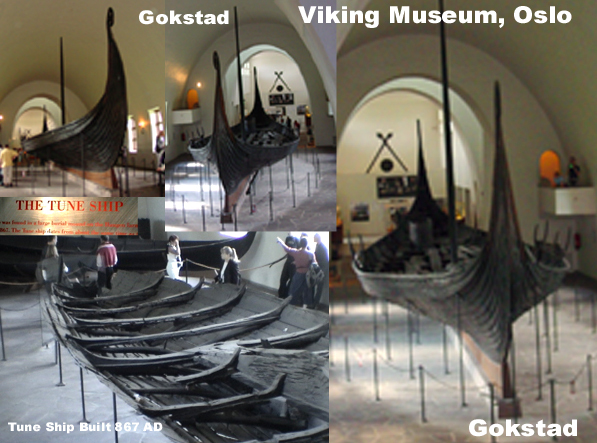 The 2 biggest ships are the Oseberg (above right) and the Gokstad (right.) 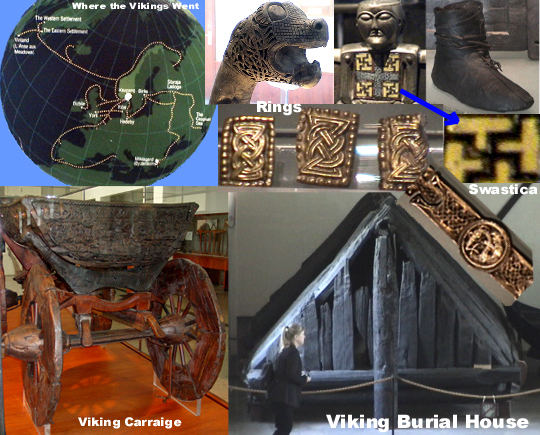 There were also many Viking artifacts including a large wagon and a burial house. 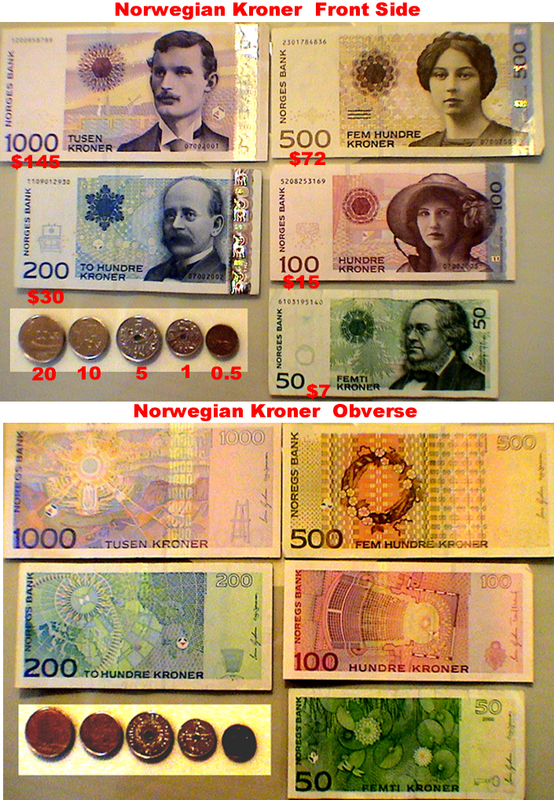 It may be time to talk about the history of the Norwegian people. 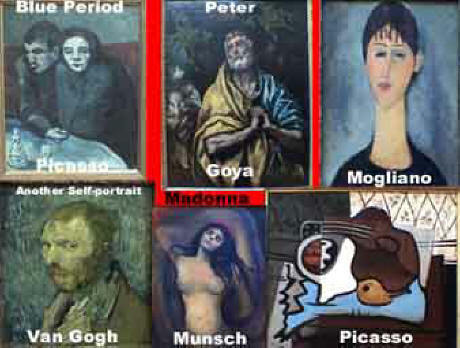 It can be divided into 5 periods. The first is the ancient people who first inhabited this land called the Komsa and Fosna cultures around 9000 years ago. The real history of Norway started with the Vikings and their period began when the Vikings attacked the Monastery at Lindisfarne island on the east coast of England (which we visited in 1999) in 793 AD. This was the beginning of the “Viking Age.” Over the next 500 years these people traveled great distances on these special ships they built. They made it to Iceland, Greenland and even to developing the north coast of France which has always been called “Norman-dy”. They made it to the Mediterranean Sea and the Caspian Sea. They were different in that they not only conquered but also settled down in these areas and set up trade routes as well. They were very feared and respected until their great downfall in 1066 when William the Conqueror conquered England and later basically drove them out of England. During their heyday, Harald Håfarge (“fine-hair”) united the Kingdom of Norway at the battle of Hafrsfjord at Stavanger (going there later.) Some left disenchanted with Harald, among them was Eric the Red (Eirik Raude) who fled to Iceland and later discovered Greenland. 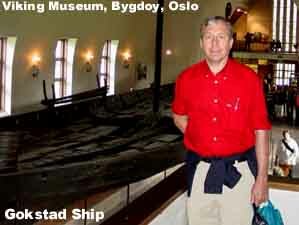 It was his son Leiv Eiriksson, who sailed to discover Northern Canada and America (Newfoundland) in 1000 AD. 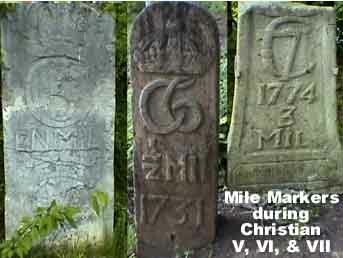 Since it was never recorded in Western European history, no one knew about it. 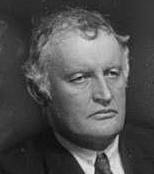 After Häken the Good (son of Håfarge,) a conflict ensued over the kingdom, until Olav Tryggvason (died 1000 AD) and Olav the Holy united the kingdom and introduced Christianity. 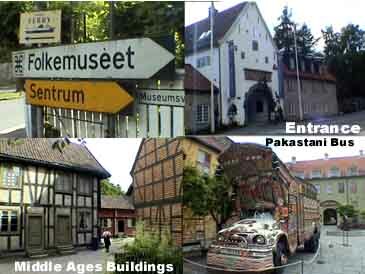 They then tore down the pagan temples and built the stave churches. 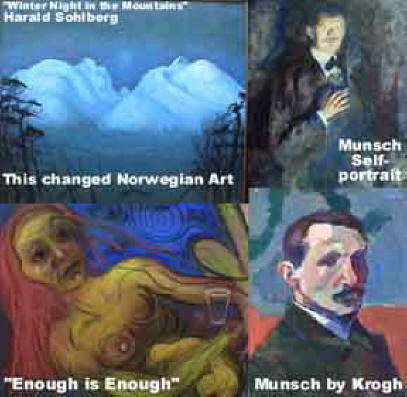 That’s the first part of Norwegian history. 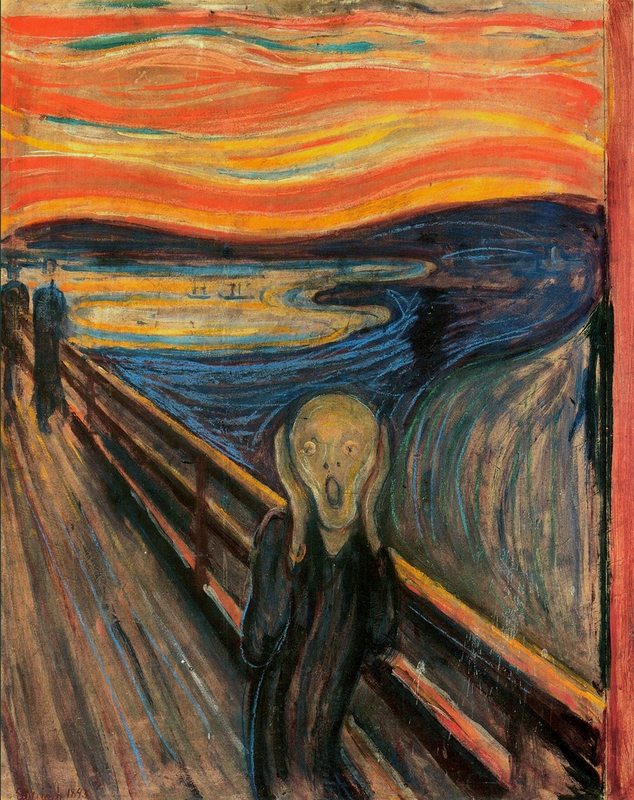 The second part of their history began in 1350, after the Black Death wiped out literally 50% of the population. Häken VI married the Danish princess, Margrete. Their only son Olav became King of Denmark in 1375 AND became the King of Norway when Häken VI (last king of an independent Norway) died in 1380. Olav died at the age of 17 and his mother Margrete became ruler of Norway and Denmark and later also Sweden. This laid the foundation for the Kalmar Union of the 3 countries which lasted until 1523 when Gustav Vasa seceded from the union forming a new dynasty for an independent Sweden. During much of this period the Hanseatic League (merchant guild formed in Germany) controlled much of the commerce in Norway and Denmark. 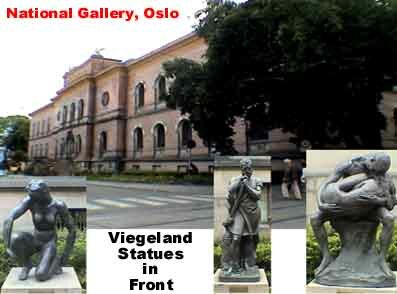 For many years, Norway was just a province of Denmark, until King Christian IV took a great interest in Norway and ordered many cities to be built such as Oslo. 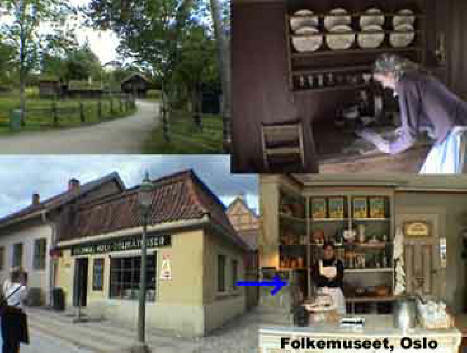 We left the museum and walked about a half mile until we came to the Norsk Folkemuseum at 5:30. We didn’t think this would be that interesting until we had the chance to walk through it. The place was closing and they said we only had 1 hour left. I asked her to point out on the map the “must see” places and we ran around and saw them all plus a lot more. Many, like the general store (above left,) had people dressed in period costume selling things – we didn’t buy anything though. 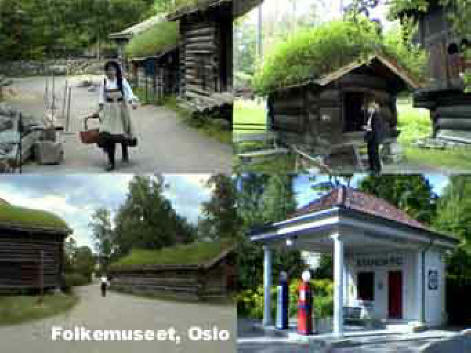 The classic buildings with grass and weeds growing on the top (above right) were very picturesque. 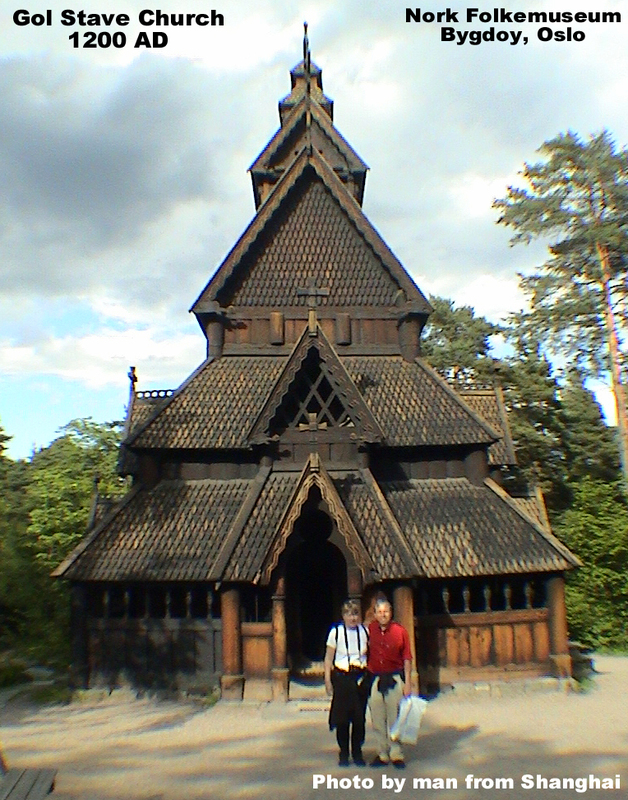 We had our picture taken in front of the ancient Gol Stave Church (below right) by a man from Shanghai, China (in payment for me taking his). In the central plaza was a Pakistani bus with all its wild colors which was a tribute to all the Pakistanis that settled in Norway. Just at closing it started to rain so we walked back to the boat dock and at 6:30 took the boat back to Oslo. I went for my run at 8:00 through the Aker Brygge again and stopped for a cappuccino at Bar 1 [, +47-]and even did a crossword puzzle. Made another call to Msgr. Torgersen but missed him again. 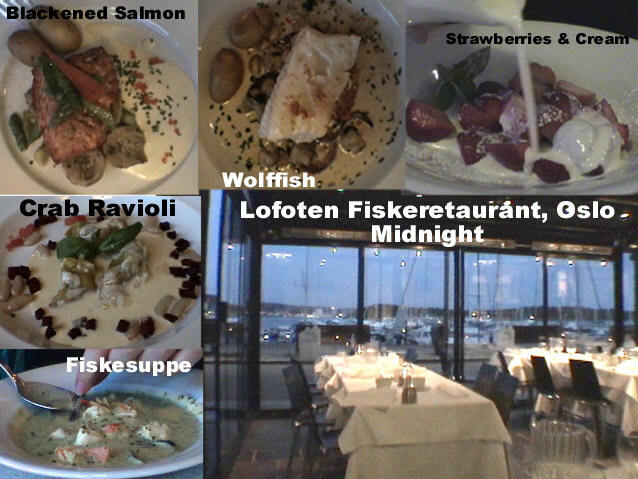 At 9:00 Marcia had already had a glass of wine at the Lektern so I met her there and we went for dinner at 10:00 at the Lofoten Fiskrestaurant [Stranden 75, +47-22-83-0808] along the water. After a beer & wine, Marcia had fish soup followed by blackened salmon, while I had crab ravioli and then wolfish. It was very good. Marcia finished with strawberries and cream. We walked back to the hotel in the chilly air and I worked on diarios and photos. I finally went to bed at 3:45 AM.